The River Nile School has grown out of The River Nile Learning Centre. 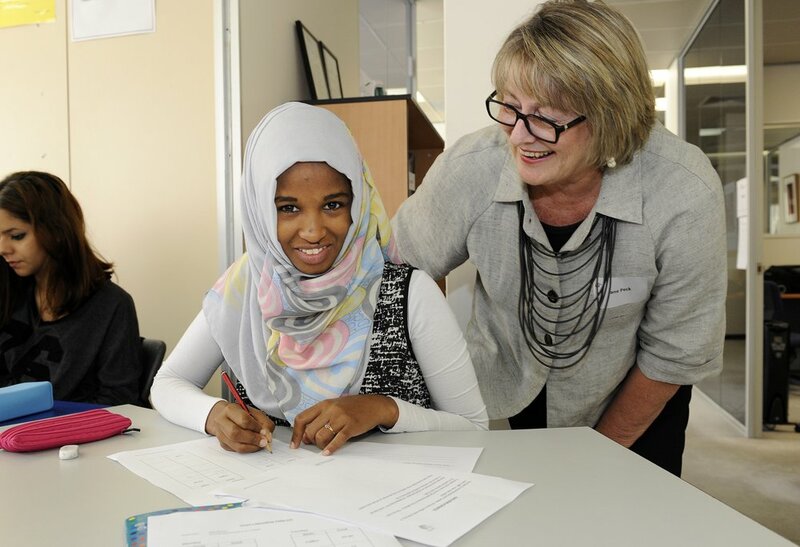 Since 2008 RNLC has been running a VCAL (Victorian Certificate of Applied Learning) Program for young women from Refugee and Asylum Seeker backgrounds. This was done in partnership with the Department of Education and Mount Alexander College, Flemington. In early 2016, following the successful move to larger and more suitable premises, the Committee of Management decided to apply for the Registration of a stand alone school. This was done to the Victorian Registration and Qualification Authority. Following six months of planning and revising of Policies and Programs official approval was given by VRQA for the entity The River Nile School to become an Independent Specialist Senior VCAL School for girls. It opened in January 2017 with Lisa Wilson as the inaugural Principal and the 2016 RNLC VCAL teaching staff remaining with the new school. RNS continues to fill a gap in our education system. It remains the only organisation in Melbourne offering free VCAL schooling, childcare and comprehensive welfare support to young Refugee and Asylum Seeker women. This is an exciting time for all as the new school will attract Commonwealth and State funding thus ensuring its long term financial viability. Free childcare for any children of VCAL enrolled young women remains available.